A few weeks back I spent a little stolen time browsing at Micheals. I had a giftcard to spend and wanted to get some Valentine's Day decor going. Of course no ideas came my way until I was in the shower the next day. So I headed straight back to Michaels to pick up supplies for my new mantle decor. 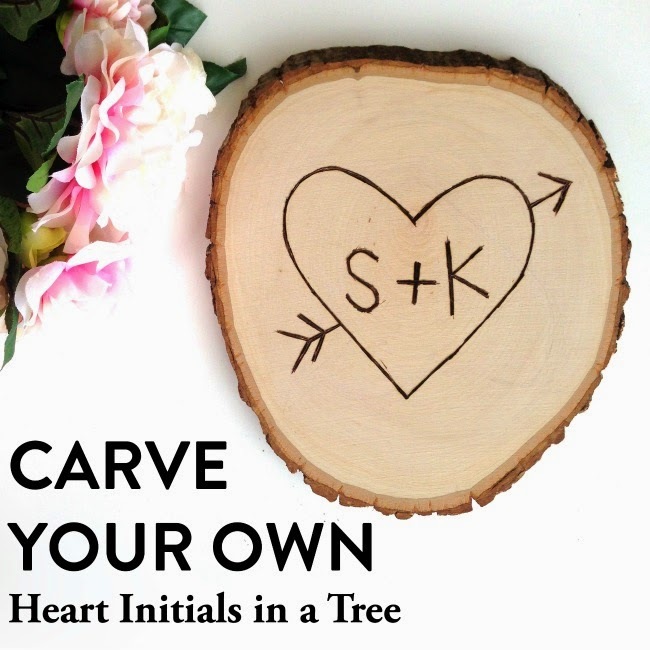 Today I'm going to show you how to make your own super romantic, initials carved in a tree. 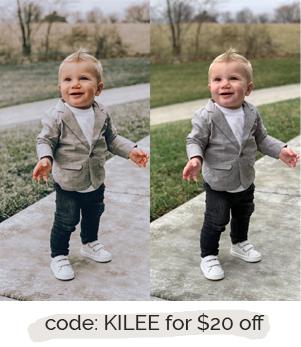 This project only took about 30 minutes- or less! To start plug in your Versa-tool and set it at the highest heat setting. You'll be using the universal tip which is attatched when you open the kit so leave it on and plug it in. Next, you'll need to sketch out your initials. 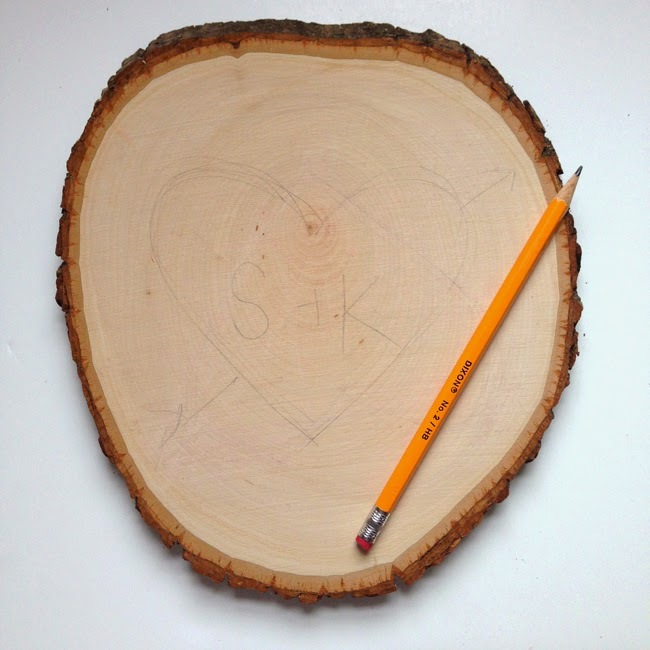 I chose to do S + K inside a heart, but other options were to do our full initials like SN + KK or SOREN + KILEE. Draw the lettering on very lightly so that you can erase it later. 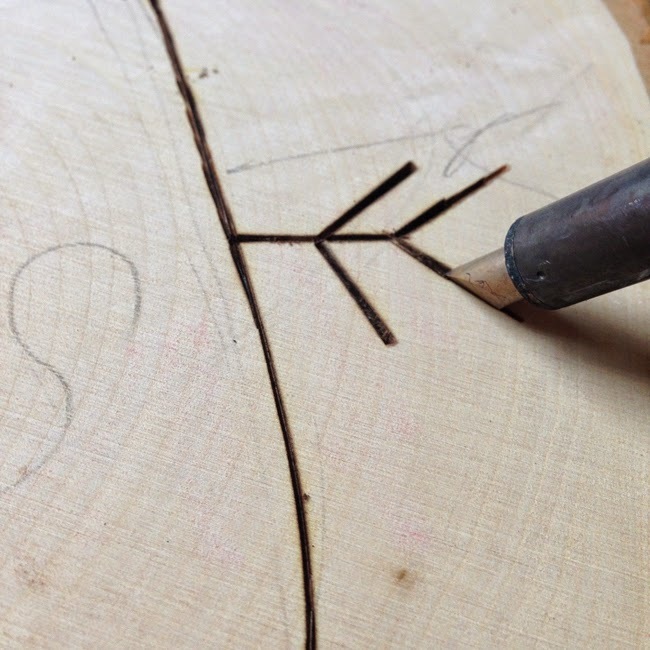 Before you start on your actual wood peice, do a few test marks on another peice of wood. 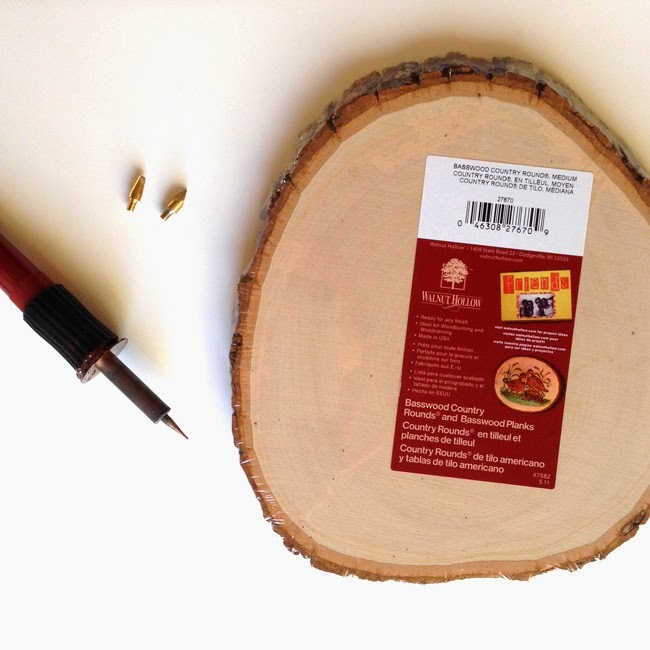 I chose to use a very high heat setting so that it would cut the wood quickly and make a dark burn mark. 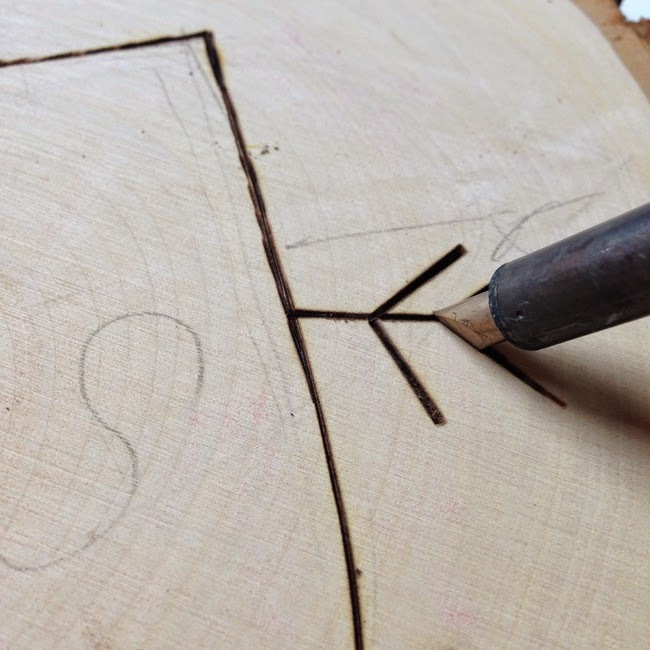 I started with the bottom tip of the heart and slowly pushed the tool into the wood and dragged it along the pencil sketch. The point is not to have a perfect line, as if you had carved it with a knife, so don't be too careful. After going around the heart and the arrow once- go around one more time to widen the line and cut it a little deeper. Then move onto the lettering. I did wear a glove while using the heat tool. At the highest temperature it gets VERY hot and you'll start to feel it about halfway through. Make a few mistakes on purpose- it will add to the rustic look. Use an eraser to erase the pencil marks when you are all done. And that's it! This little 8 inch piece of tree is the perfect addition to my Valentine's mantle. I love the simple, rustic look to it and the sweet forever love theme. 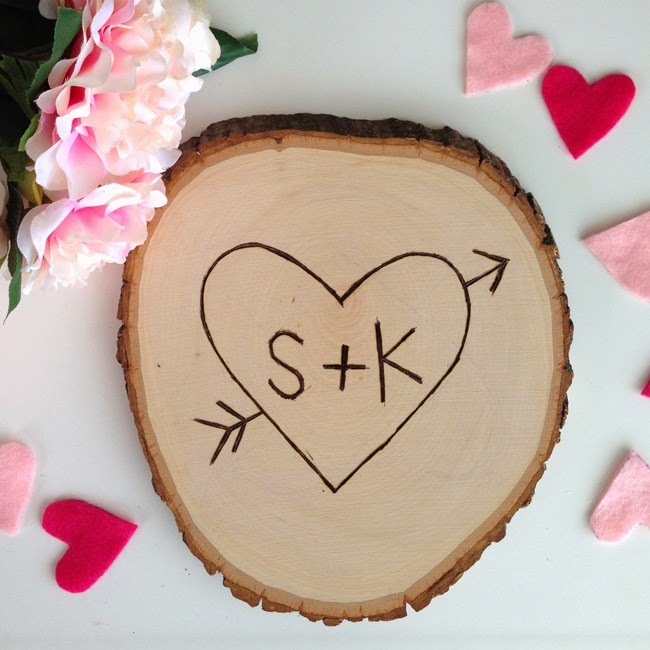 I can see these being the perfect DIY gift for anniversaries, weddings, and yep- Valentine's Day. Pin the full tutorial below. This is so cute! Love this idea for your Valentine's mantle, and maybe even a bedroom gallery wall the rest of the year! I'm not a fan of Valentine's Day but this is the best idea I have ever seen for handmade gift for your loved one!!!!! 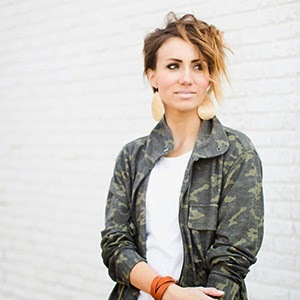 This is a wonderfully simple and super sweet DIY- Im thinking I can actually do this! The Viral Site best valentines day tutorials ,simply loved it.